Premise: Seeing your inbox is distracting & often forces you to forget what you went in there for in the first place. <– That’s happened to make at least 2734928398 times. 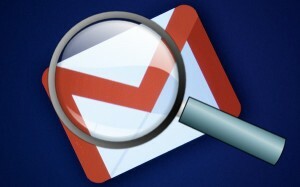 Solution: Search gMail inbox WITHOUT opening gMail inbox! Simple as that – Now you can search Google Drive without opening “My Drive” and getting confused / forgetting what you went in there for in the first place! I know these two tricks have saved me a whole lot of time & heartburn, hope they do the same for you!